For over four decades, the team at 31-W Insulation has been the primary supplier of high-quality home improvement products for homeowners in the Southeast, the Midwest, and beyond. Our multiple locations have enabled us to serve countless customers nationwide and we look forward to working with you next. 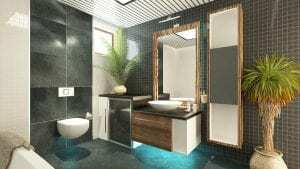 If you’re renovating the bathroom in your Greensboro, North Carolina, home, and are in the market for some great bargains on bathroom mirrors, we have just what you’re looking for. These bathroom mirrors are also copper-free, which makes them water resistant and ideal for areas such as bathrooms, which can be rather humid. When you partner with us, you can be confident that our factory-trained technicians will install your new bathroom mirror with the utmost expertise and that they will treat your home with the care and respect it deserves, leaving behind a tidy work area. Moreover, we provide a one-year labor warranty on installation and a full manufacturer warranty on products, so you can have peace of mind knowing that your new bathroom mirror is well-protected. To explore our impressive selection of bathroom mirrors, or to schedule an initial consultation at your home in the Greensboro-area home, contact 31-W Insulation today.